The Verace Igloo UK oven series, Licensed by DEFRA, is the same as the Vesuvio Igloo UK except for some differences in the floor. The Verace Igloo UK incorporates a patented Re-cycled Heating System (RHS), that is used to balance the floor heating to give a higher and more consistent temperature across the floor. Designed in conjunction with the AVPN – Associazione Verace Pizza Napoletana. The Verace has a softer floor than the Vesuvio range of ovens to better reflect the characteristics true Neapolitan pizza makers’ desire. 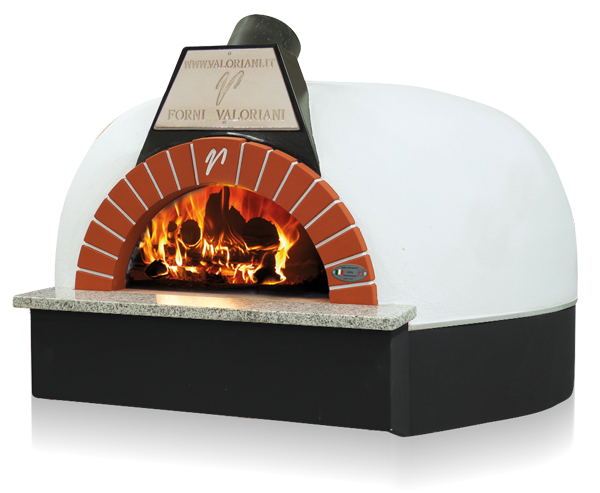 Whilst Valoriani are one of only a few manufacturers certified by AVPN for wood burning ovens, Valoriani were the first manufacturer to achieve an AVPN certified gas oven when the IGLOO VERACE gas series received certification. The AVPN certification took five years of research and development to complete and included blindfold testing by the approvals committee. The oven can be ready to go in 1 [one] day, delivered by fork lift truck, crane or assembled in situ by our artisan installation team. Alternatively, it can be assembled in situ by our installers and takes 2/3 days to install. The oven comes with a factory prepared steel stand at the optimum working height but it can be installed on your own suitable table or base.